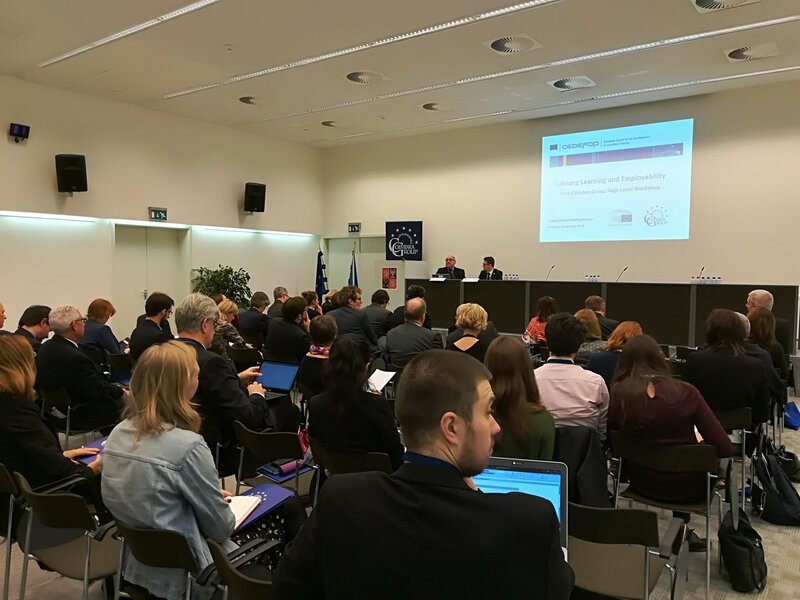 Since 2013, the Coimbra Group has organised high-level policy seminars on research to address current issues in European research policy of key importance to member universities and to the European research community. 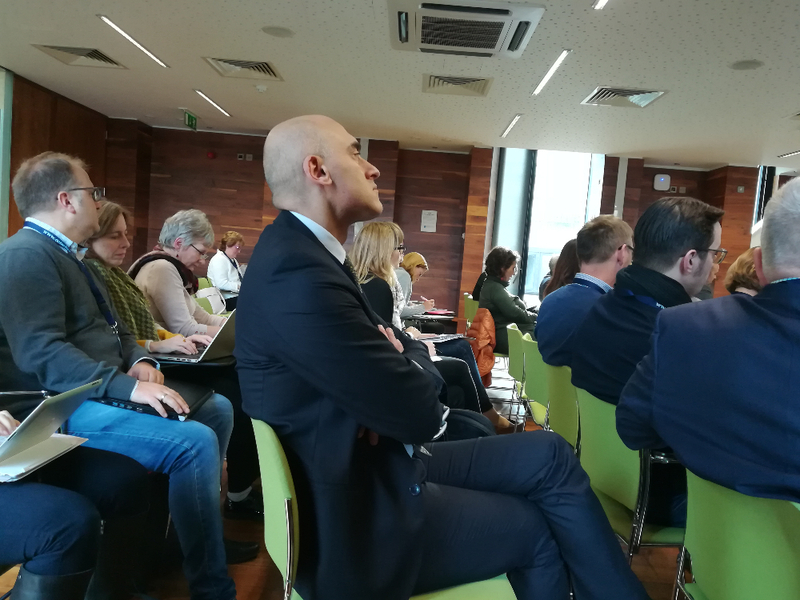 The high-level policy seminars have been organised in collaboration with the Venice International University based on the Isola di San Servolo, Venice. 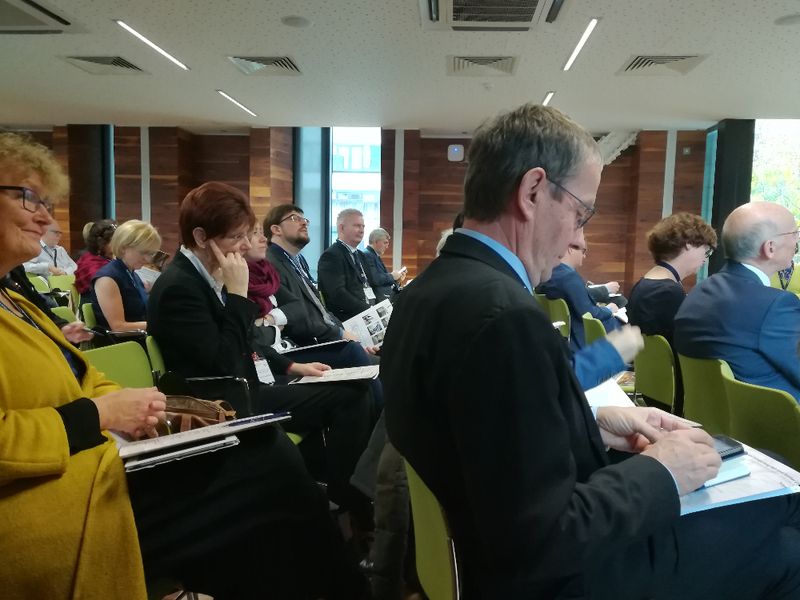 The high-level policy seminars are intended as a forum for informal dialogue between university rectors, stakeholders and key decision makers in European research policy. 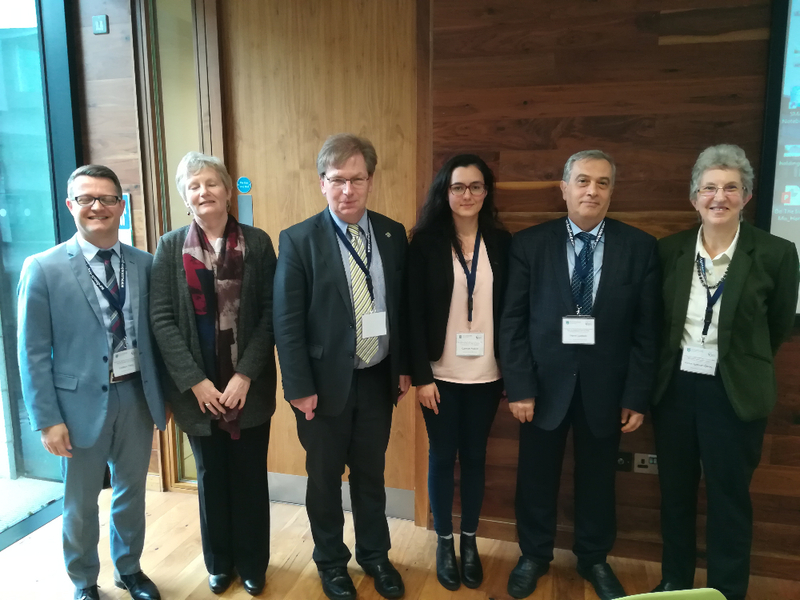 The theme chosen by the Executive Board of the Coimbra Group for 2018 was “Defining and measuring impact of research: an inter-disciplinary and inter-sectoral approach”. 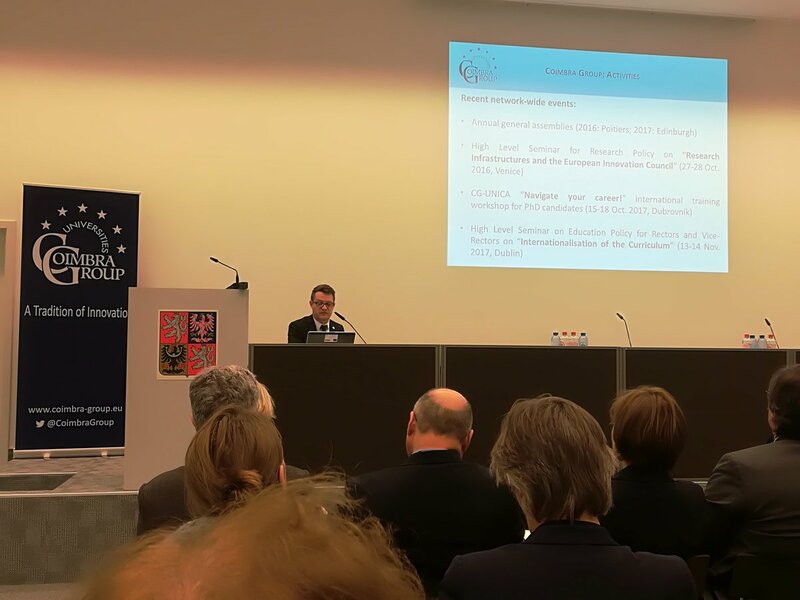 The rationale is based on the increasing importance of research impact assessment currently observed in national, European and international research programmes, and expected to increase further in the future, in particular within the ninth European Research and Innovation Framework Programme, Horizon Europe, and associated Open Science policies. 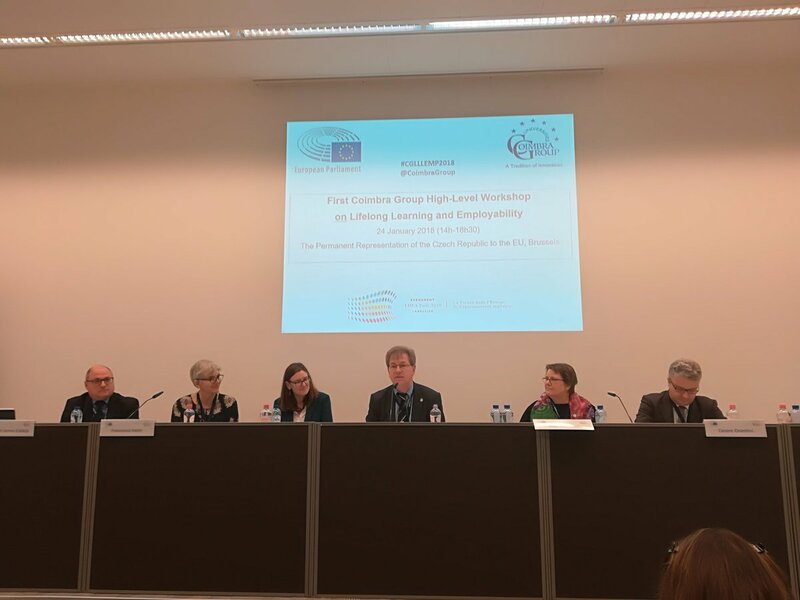 At the high-level seminar, we aimed at gathering Coimbra Group rectors and experts from the field to reflect on the current state of research impact definitions and associated indicators, considering the different disciplines, sectors and viewpoints of involved funding bodies. 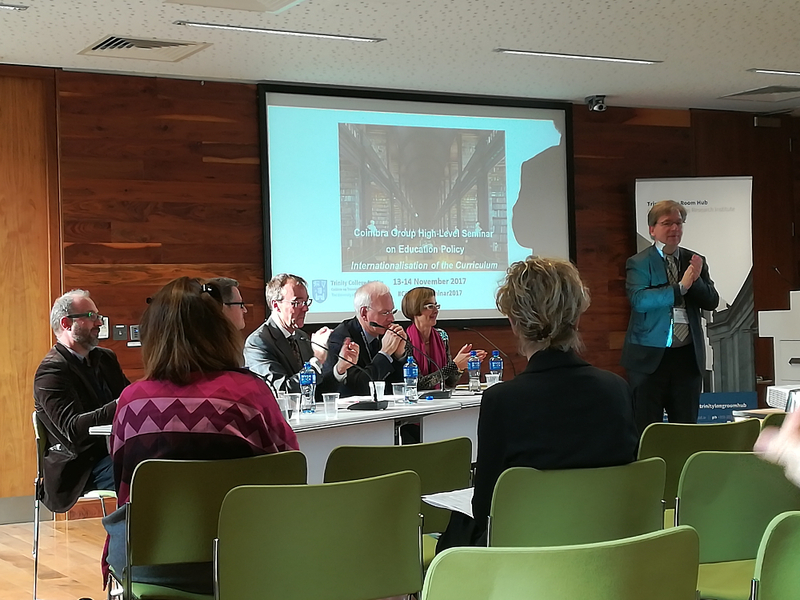 A specific focus was on one of the recent developments in research policy, i.e. 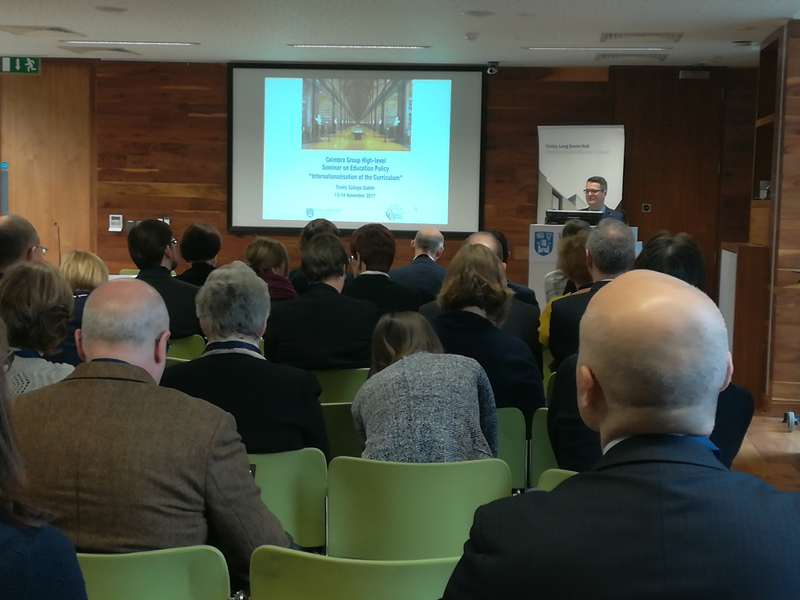 the introduction of a mission-oriented approach and its impact on Research and Innovation practices in general. 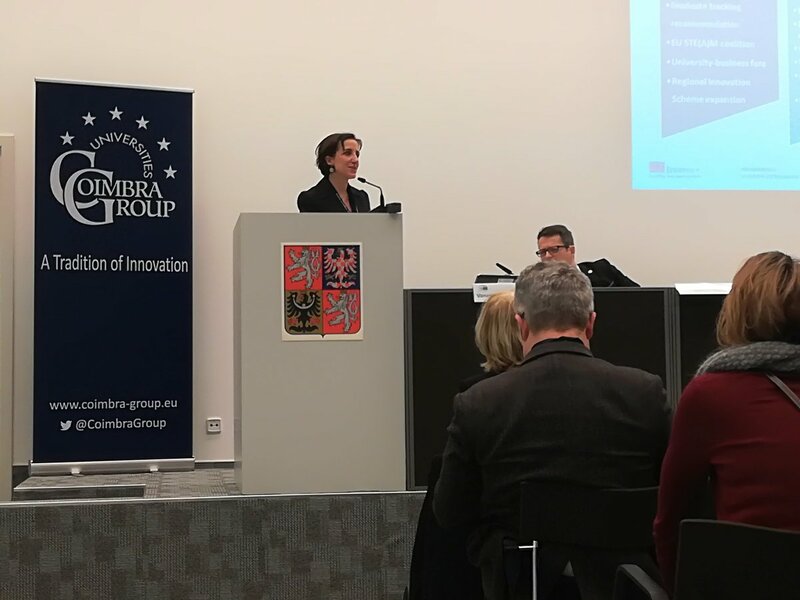 The seminar was composed of four main sessions: the first aimed at providing information on the latest developments in FP9 and mission-oriented research, while the second and third sessions focused on inter-disciplinary and inter-sectoral definitions and assessments of research impact. 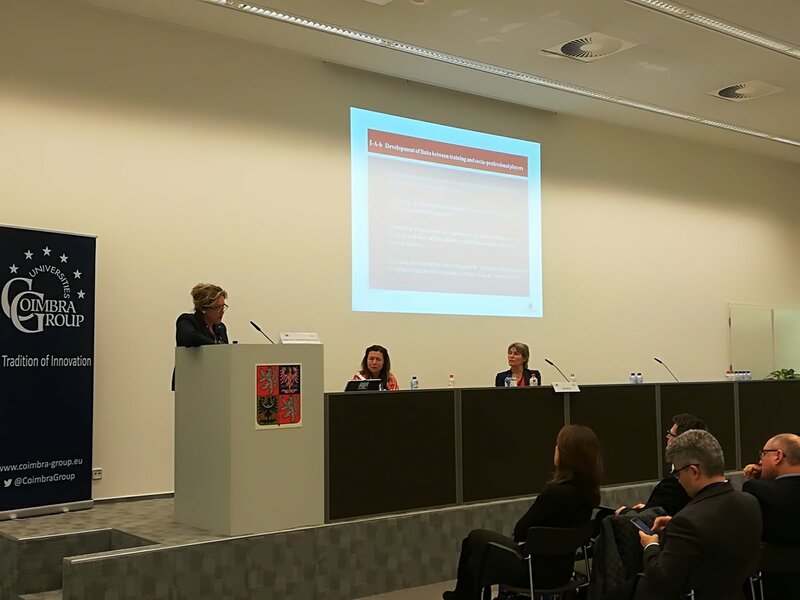 The last session introduced case studies on how to develop a research impact culture at universities. 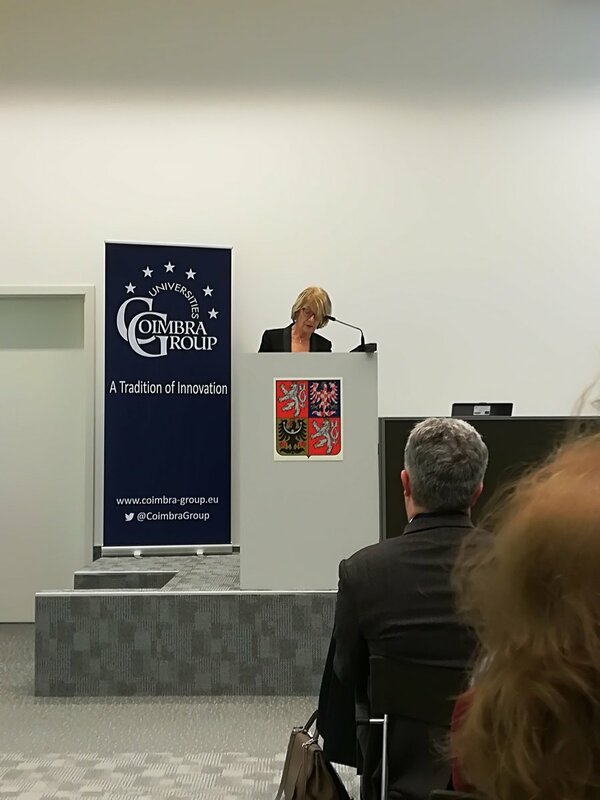 Among the invited key note speakers and discussants were key stakeholders in European research policy, representatives from European institutions, leading researchers and policy officers from member universities, rectors from member universities as well as representatives from other European university networks. 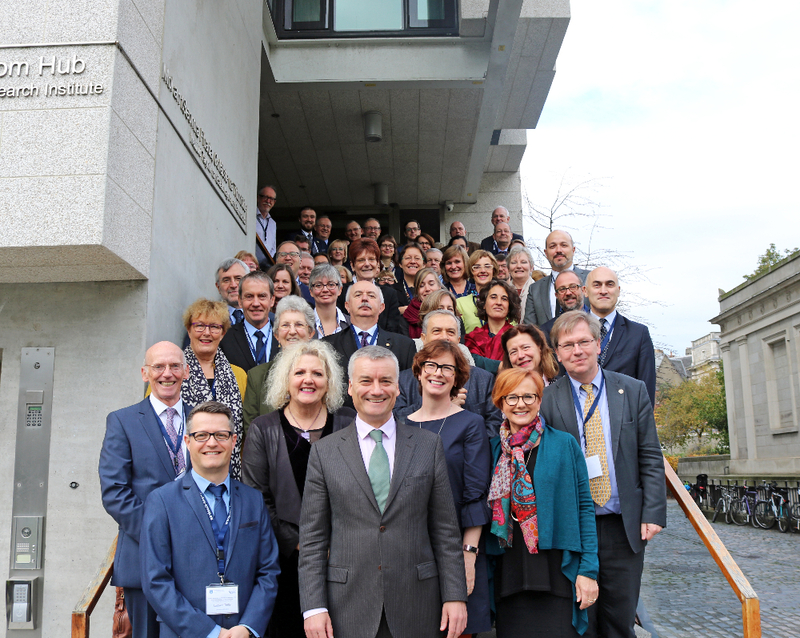 As at earlier high-level policy seminar, the 2018 event was attended by Rectors and Vice Rectors for Research at our member universities from all over Europe together with their senior research support officers. 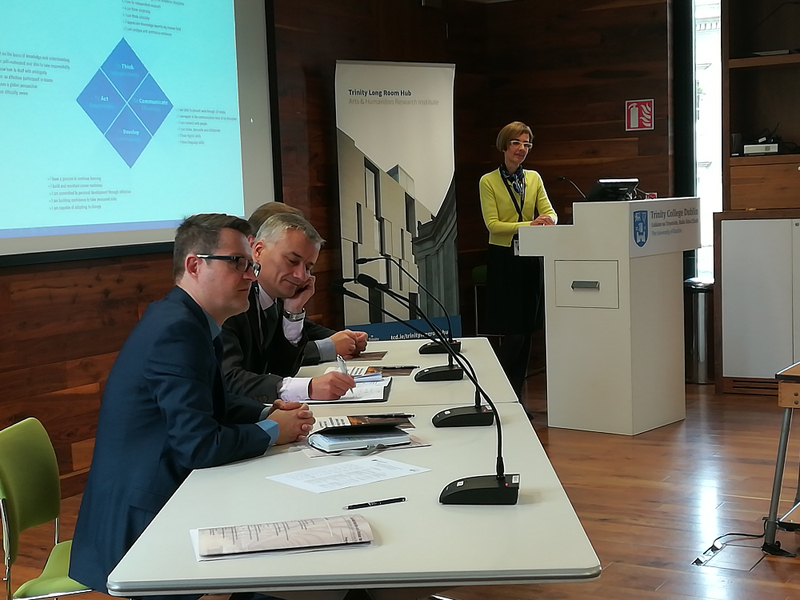 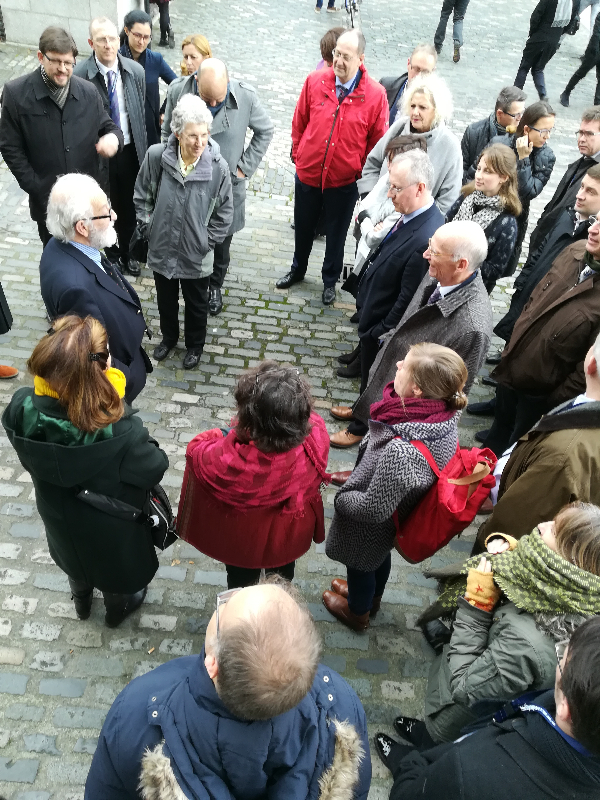 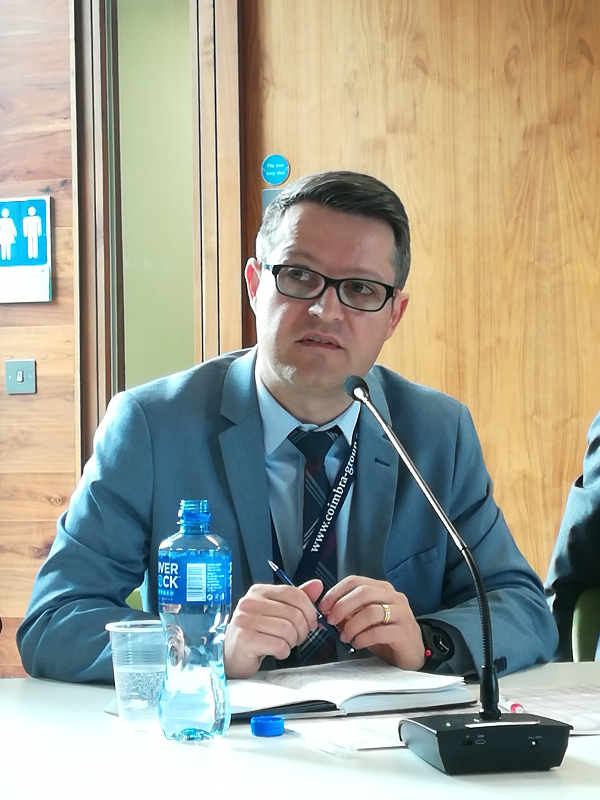 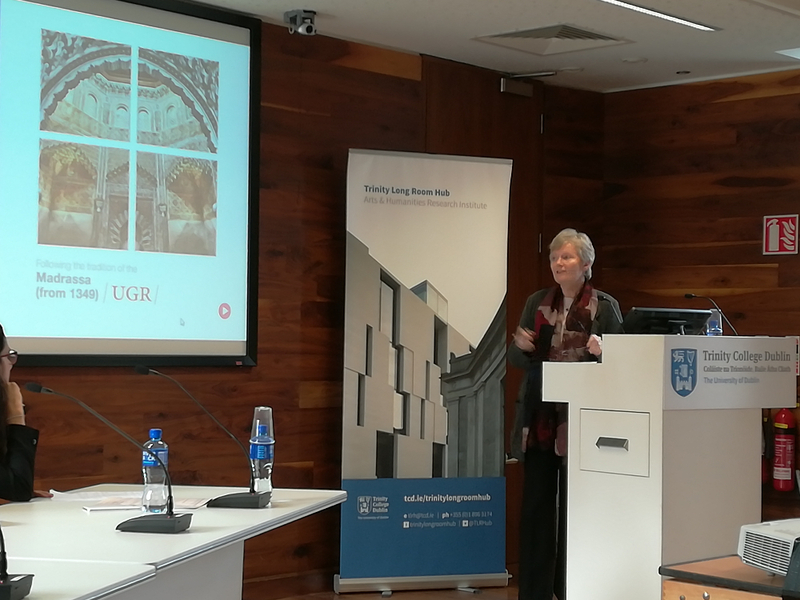 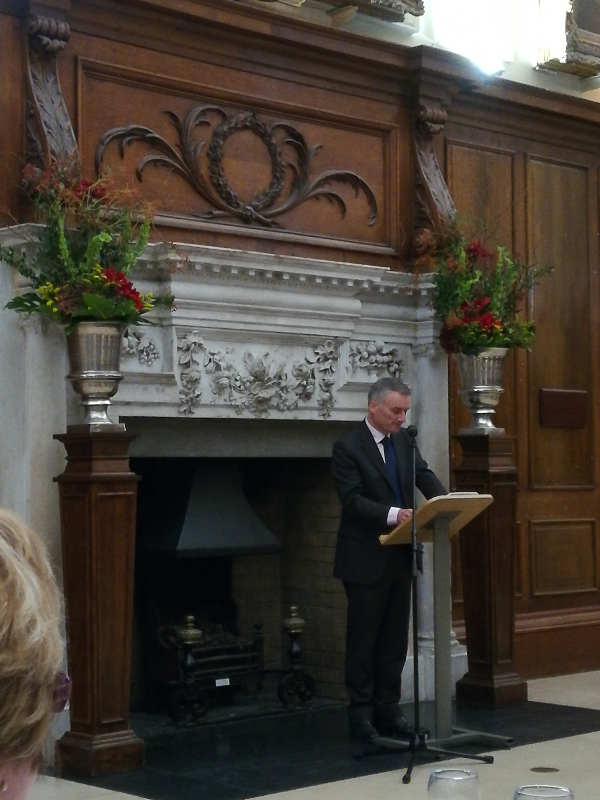 It was intended to offer senior representatives at our member universities a forum for discussion of issues arising from the design and implementation of the Horizon Europe. 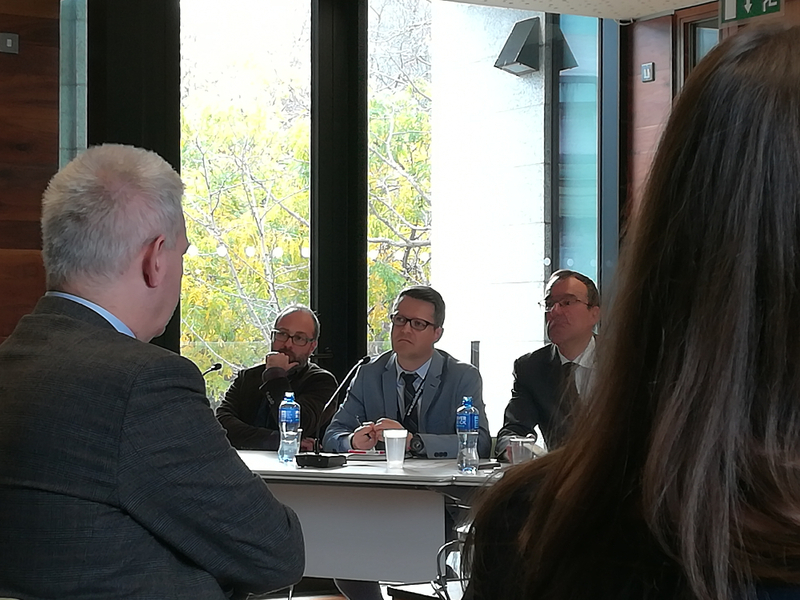 Session 4: How to develop a research impact culture? 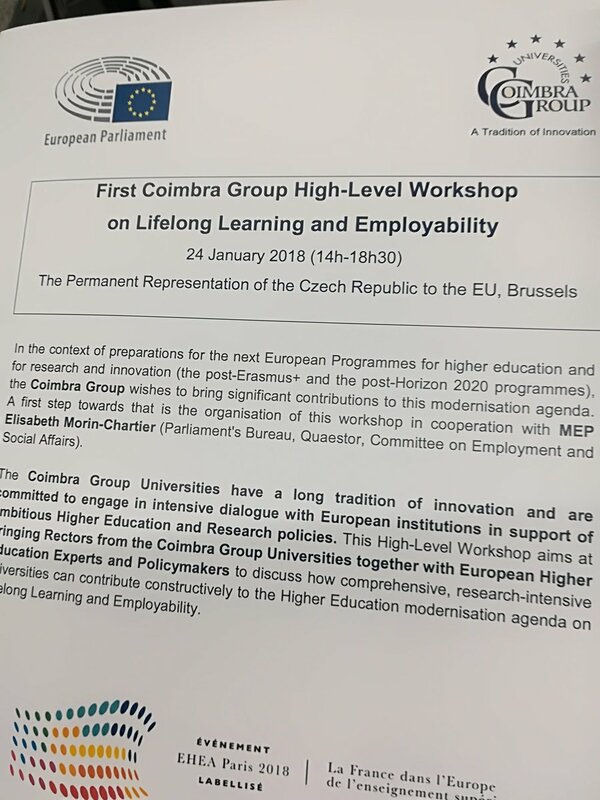 In the context of preparations for the next European Programmes for higher education and for research and innovation (the post-Erasmus+ and the post-Horizon 2020 programmes), the Coimbra Group wishes to bring significant contributions to this modernisation agenda. 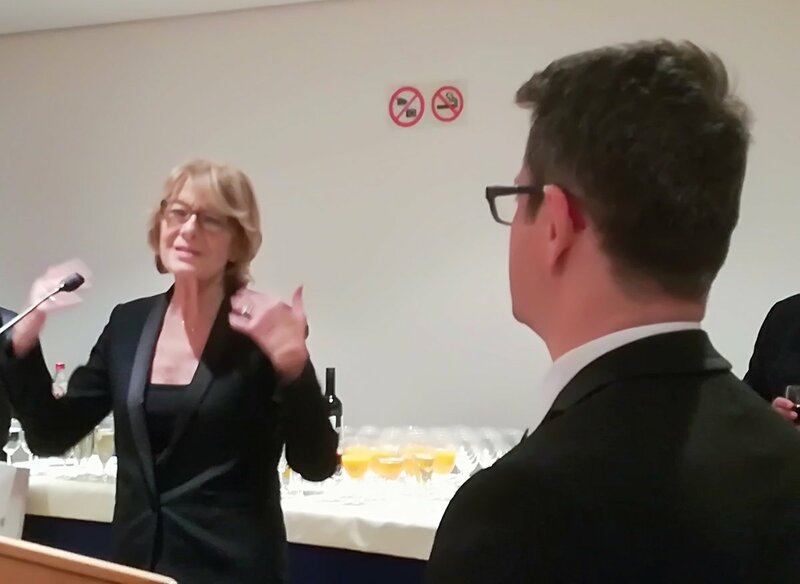 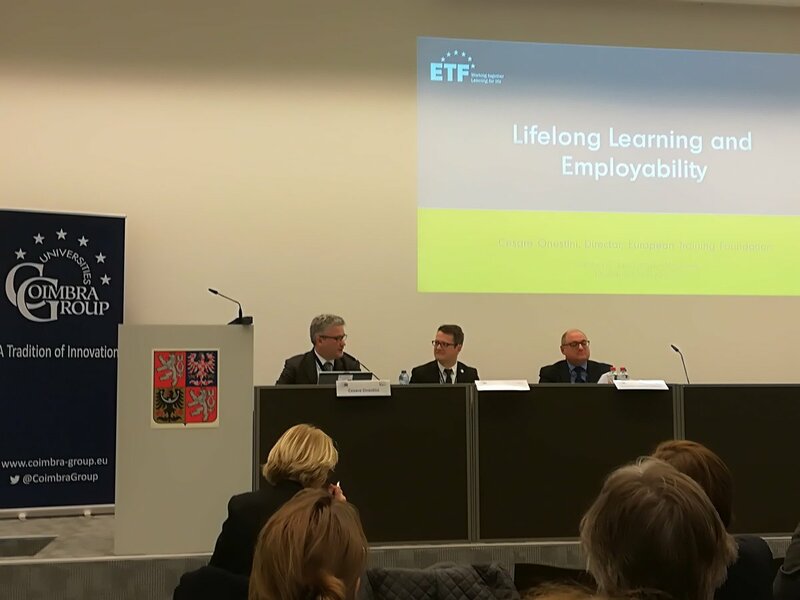 A first step towards that is the organisation of this workshop in cooperation with MEP Mrs Elisabeth Morin-Chartier (Parliament’s Bureau, Quaestor, Committee on Employment and Social Affairs). 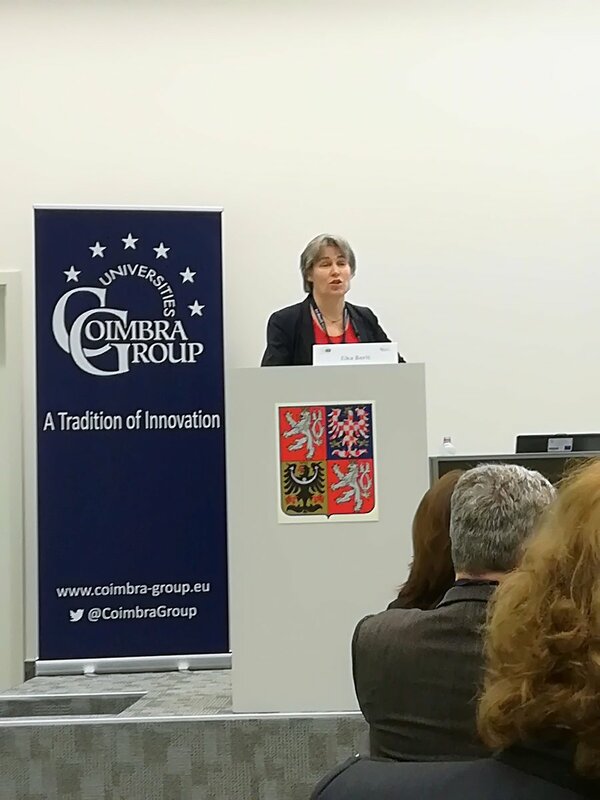 Coimbra Group Universities have a long tradition of innovation and are committed to engage in intensive dialogue with European institutions in support of ambitious Higher Education and Research policies. 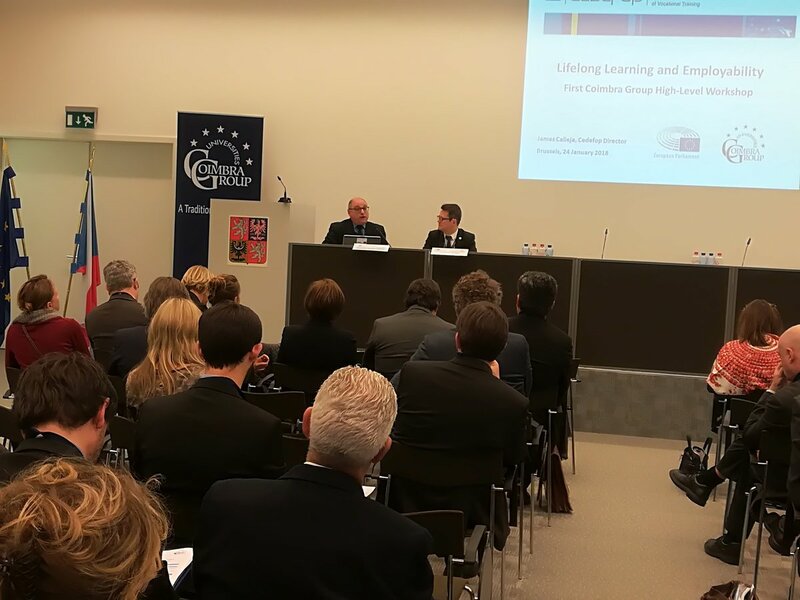 This High-Level Workshop aims at bringing Rectors from the Coimbra Group Universities together with European Higher Education Experts and Policymakers to discuss how comprehensive, research-intensive universities can contribute constructively to the Higher Education modernisation agenda on Lifelong Learning and Employability. 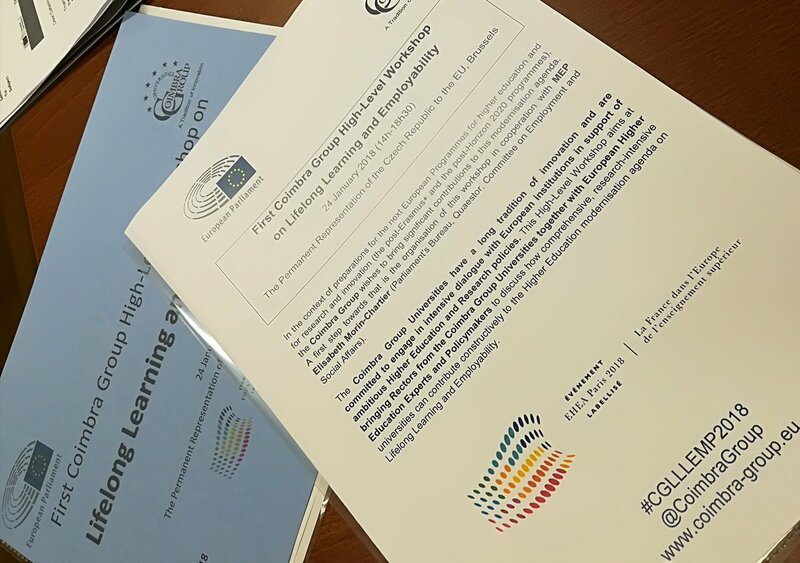 For further information and registration please contact Catarina Moleiro at the Coimbra Group Office (moleiro@coimbra-group.eu). 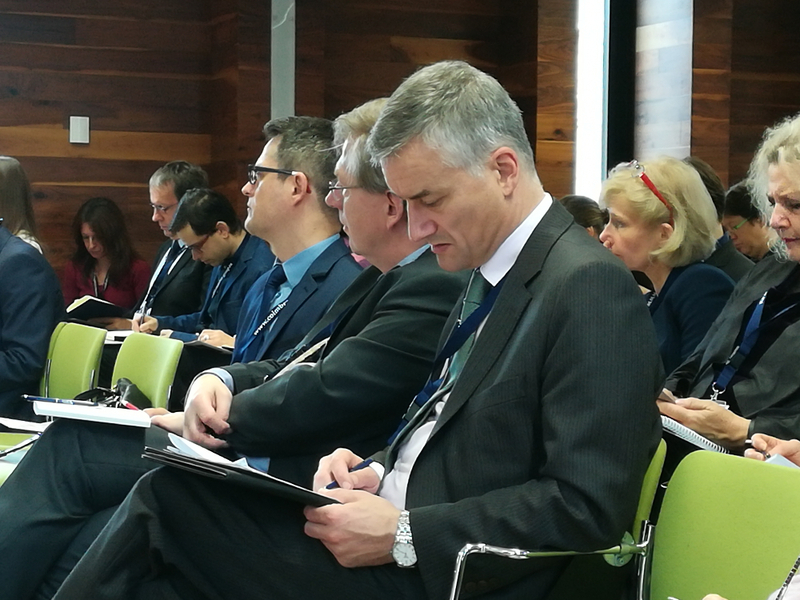 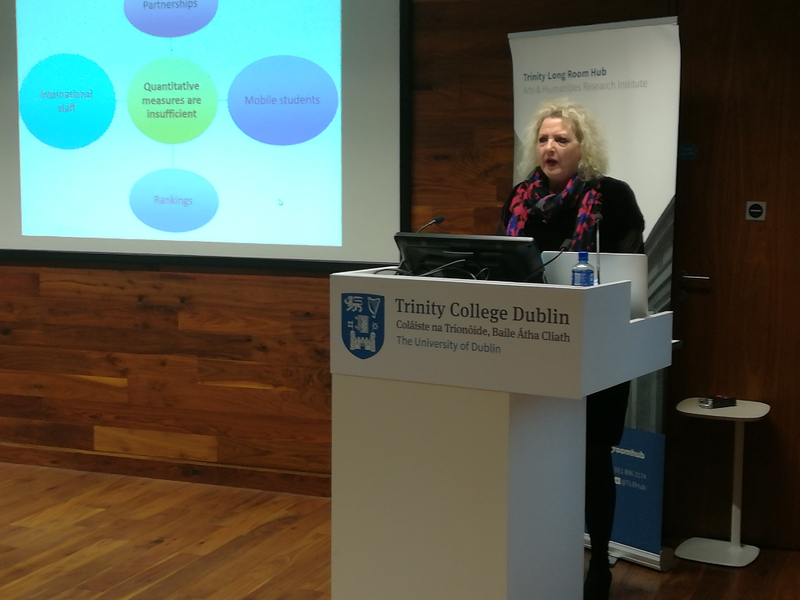 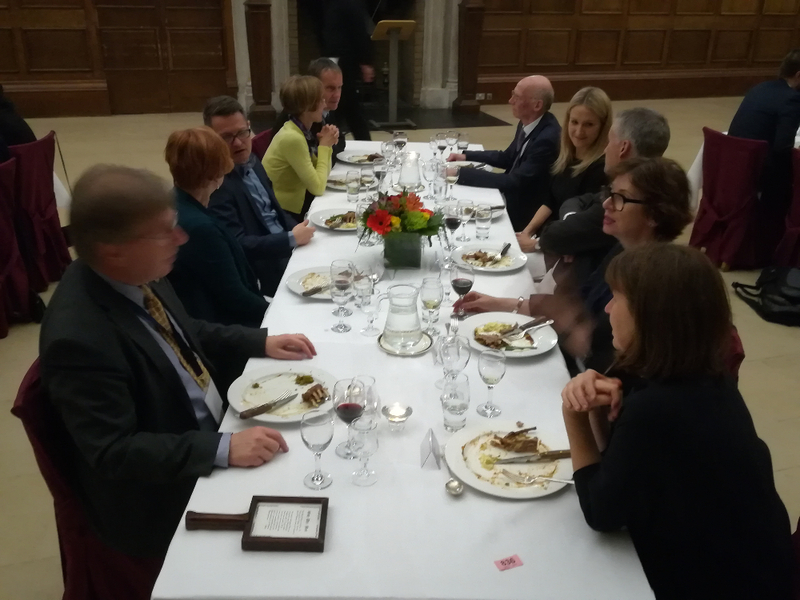 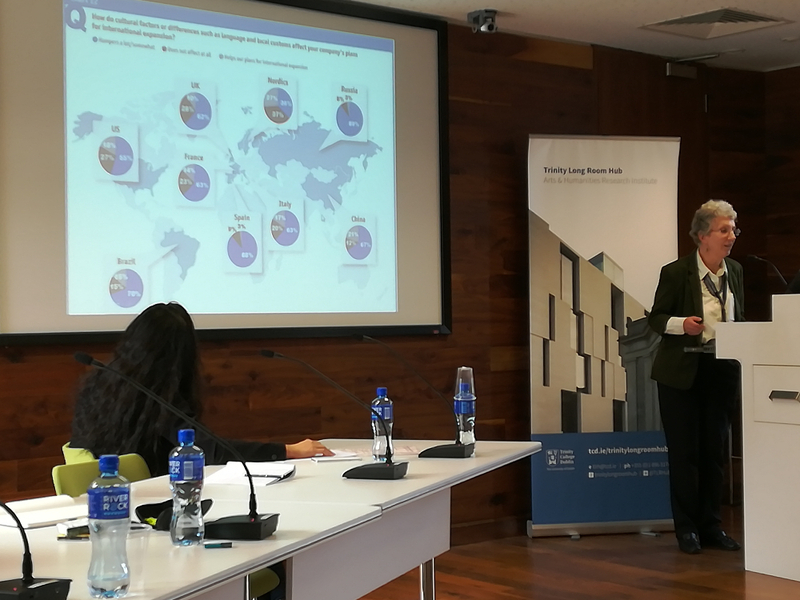 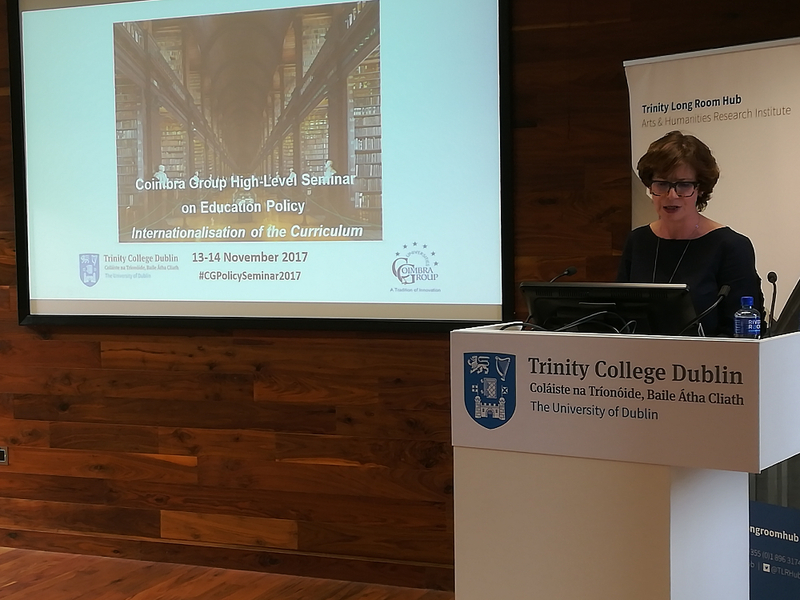 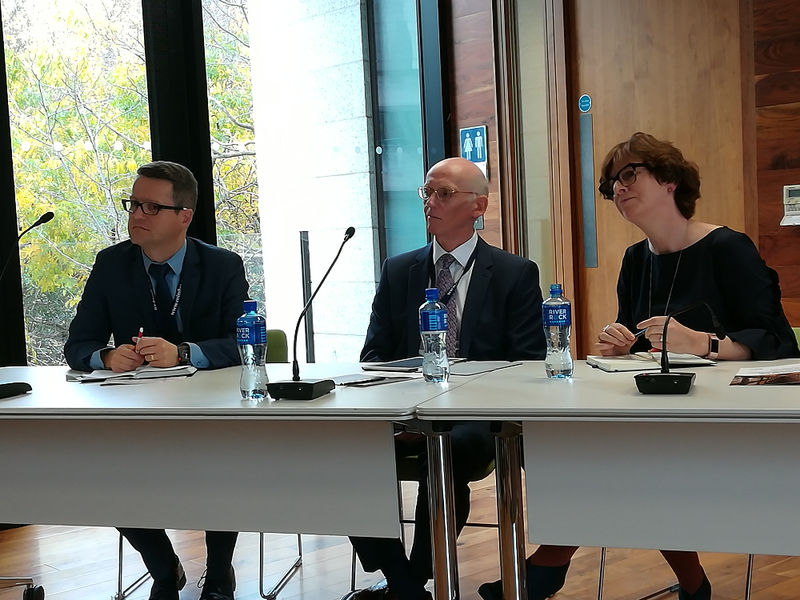 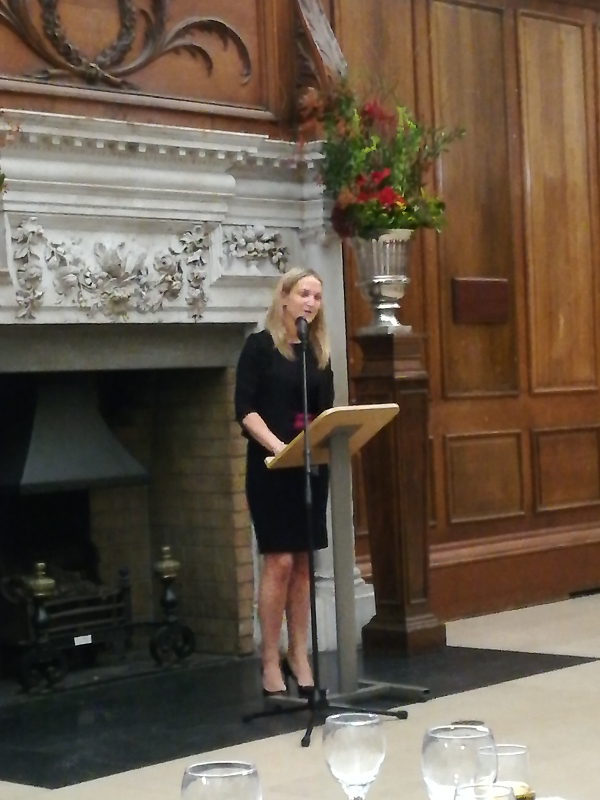 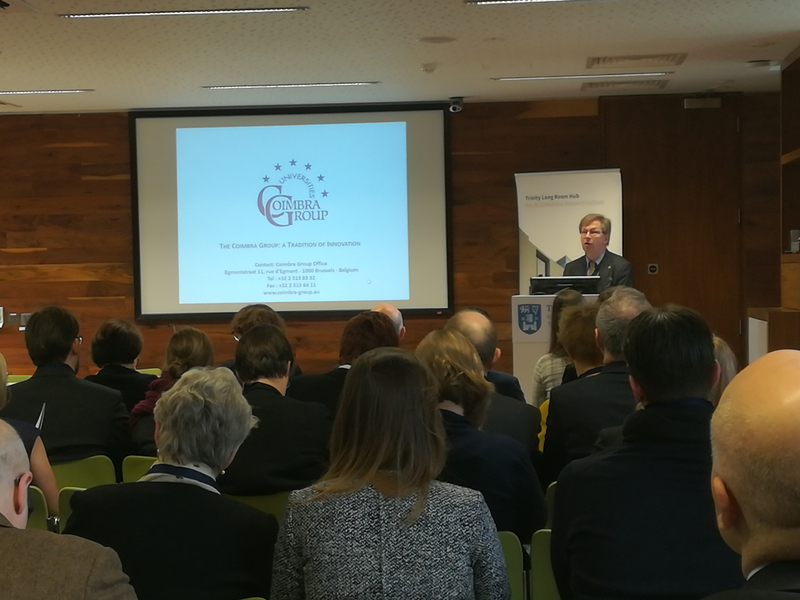 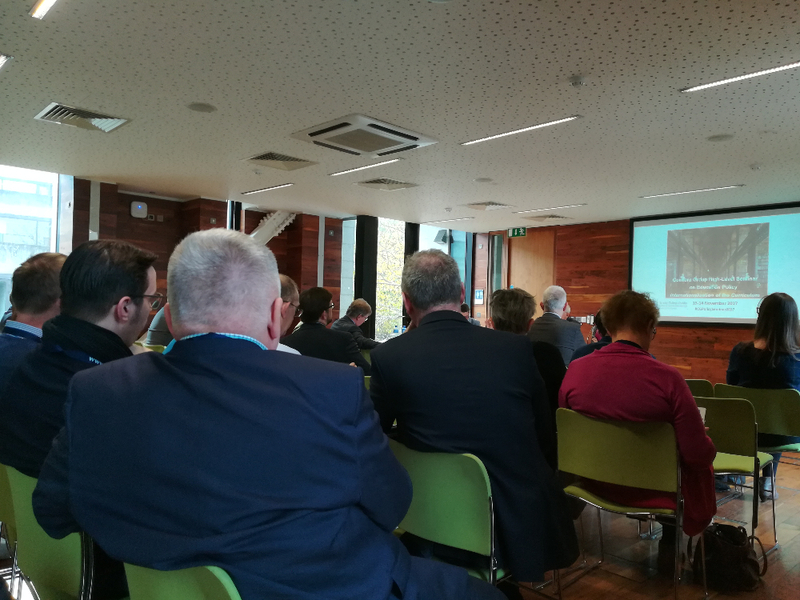 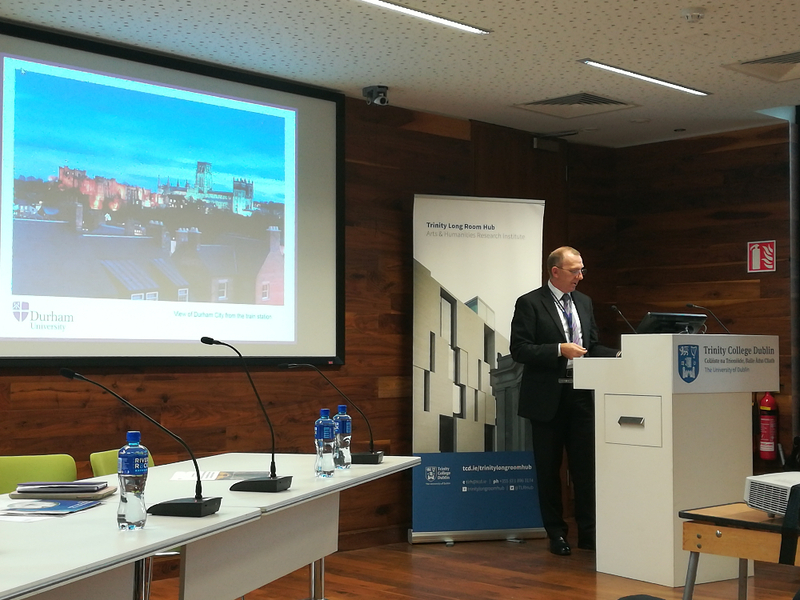 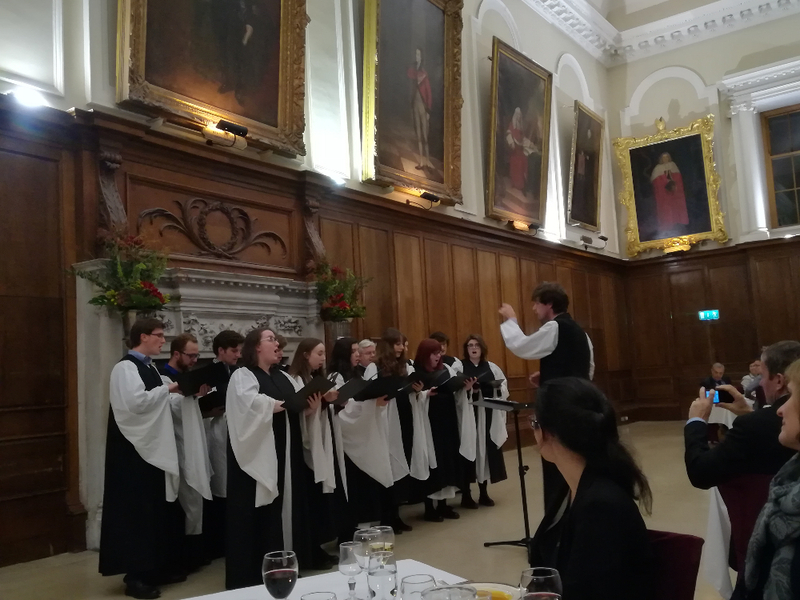 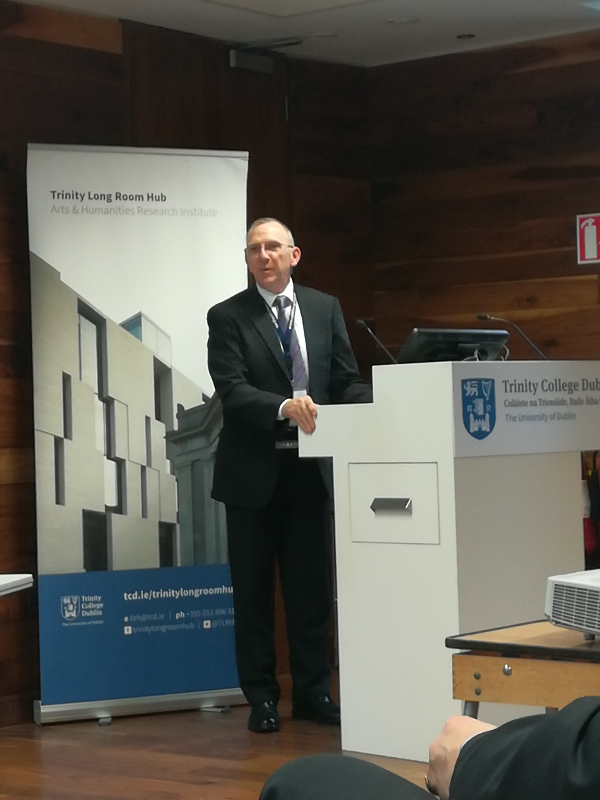 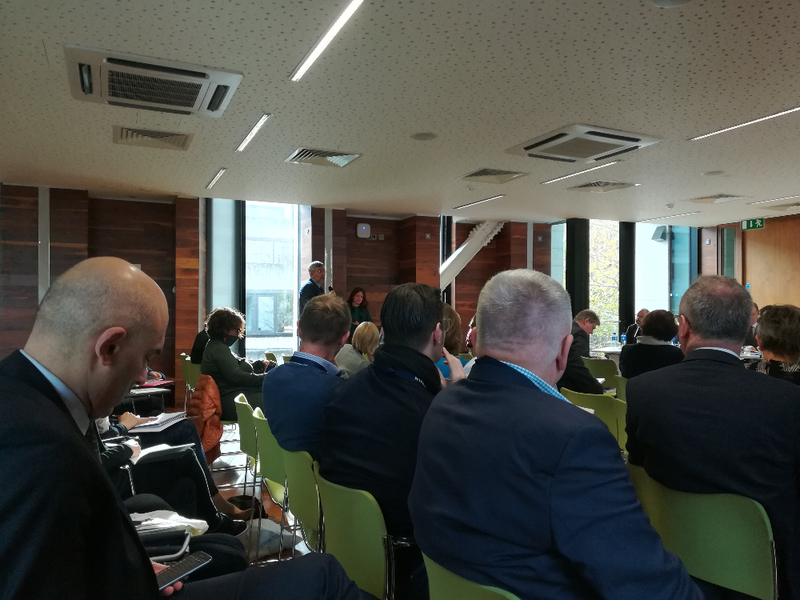 On 13-14 November 2017, the Coimbra Group held its second High-Level Seminar on Education Policy, which was kindly hosted by Trinity College Dublin. 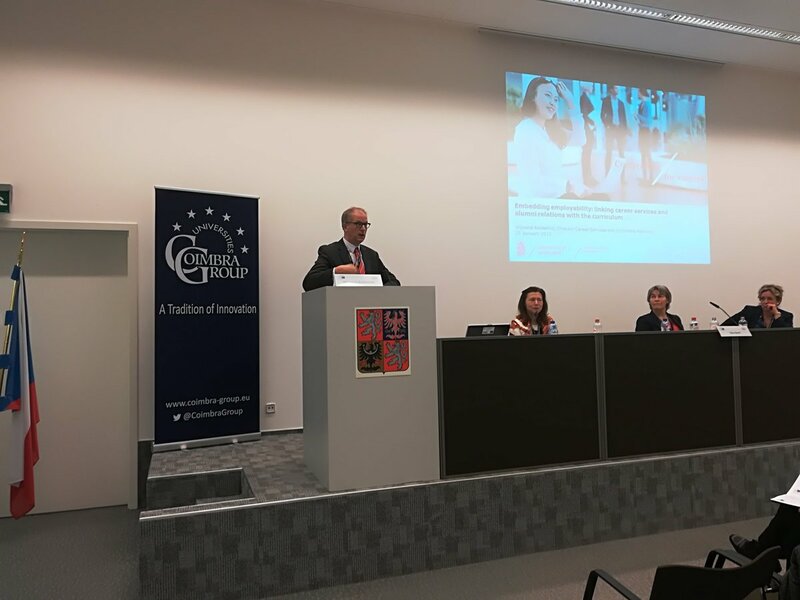 Around 100 participants joined us in this successful event, including Rectors and Vice-Rectors of the 39 Coimbra Group universities and representatives of key stakeholders in higher education policy and in industry. 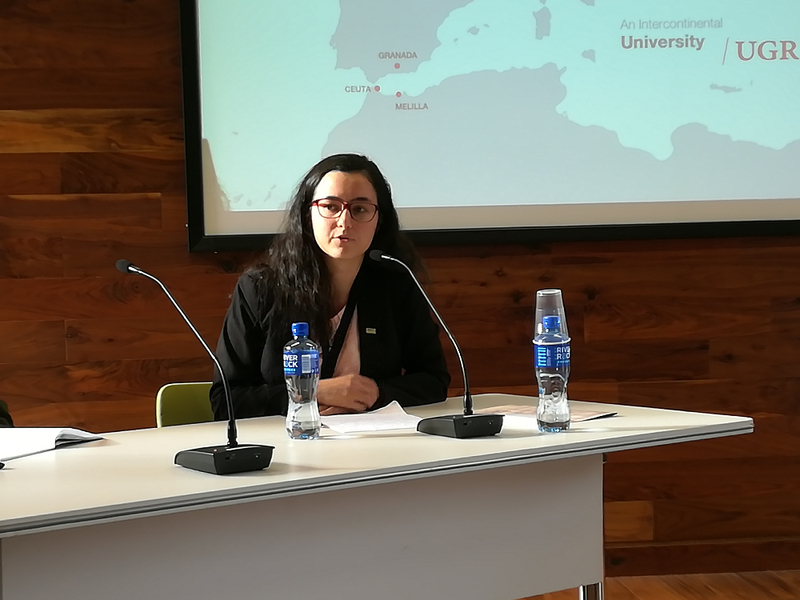 This seminar continued the annual tradition of Coimbra Group high-level policy seminars addressing issues of key concerns in, alternately, education and research policies. 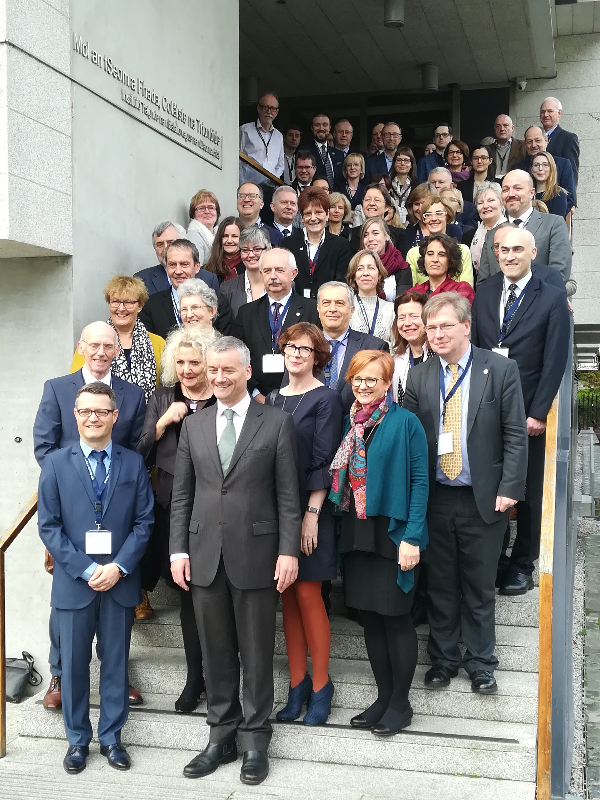 Within our alternating biannual structure the focus this year was on Education Policy and the chosen topic “Internationalisation of the Curriculum”. 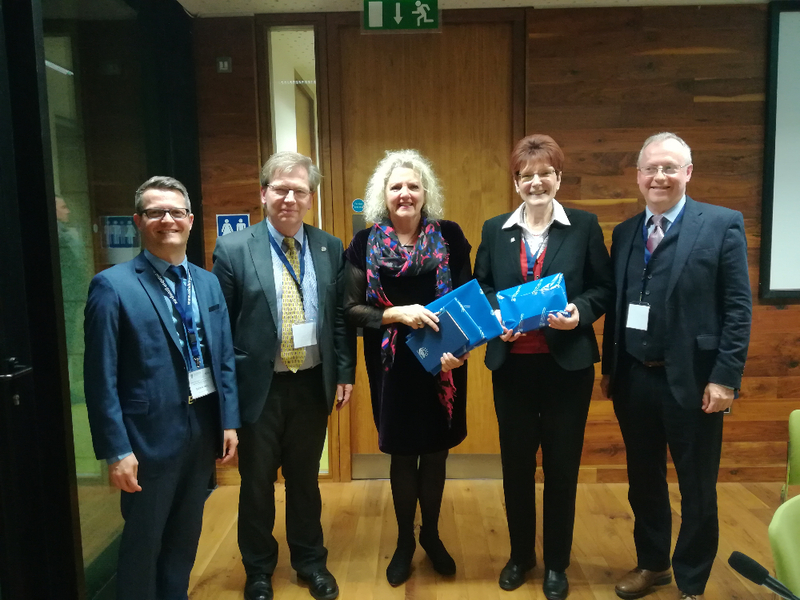 We discussed how internationalisation strategies and policies at our universities are and can be reflected in the curriculum, campus life and wider activities of the universities. 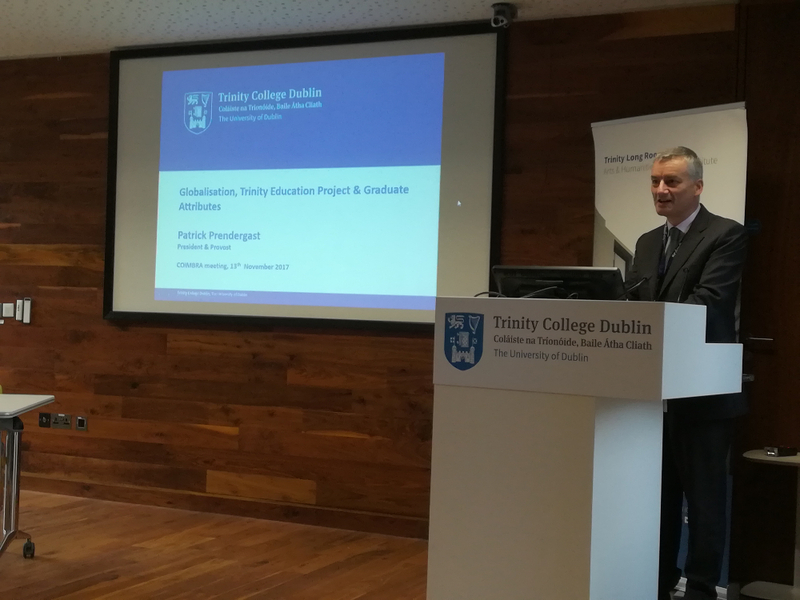 More specifically, we shared our experiences and ideas over a number of related aspects such as the embedding of internationalisation in the curriculum for all students, the role of co- and extra-curricular activities, student societies and student life, virtual mobility, managing diversity of learning styles and intellectual approaches, intercultural communication and English as a medium of instruction. 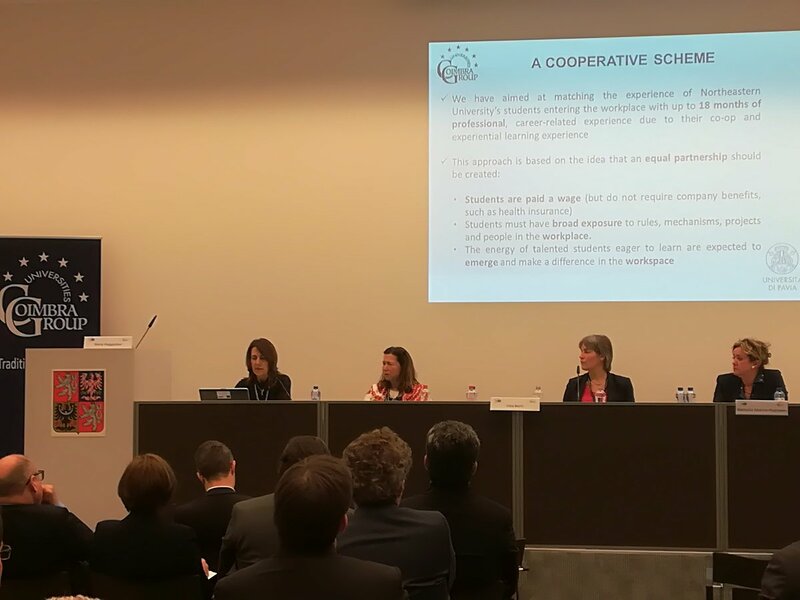 Tony Fawcett (Dean and Deputy Pro-Vice Chancellor Education, Durham University), Hiltraud Casper-Hehne (Vice-Rector International Universität Göttingen), Dana Samson (Vice-Rector International, Université catholique de Louvain), Anne-Marie Motard (Vice-Rector International, University of Montpellier), Dorothy Kelly (Vice-Rector International, University of Granada). 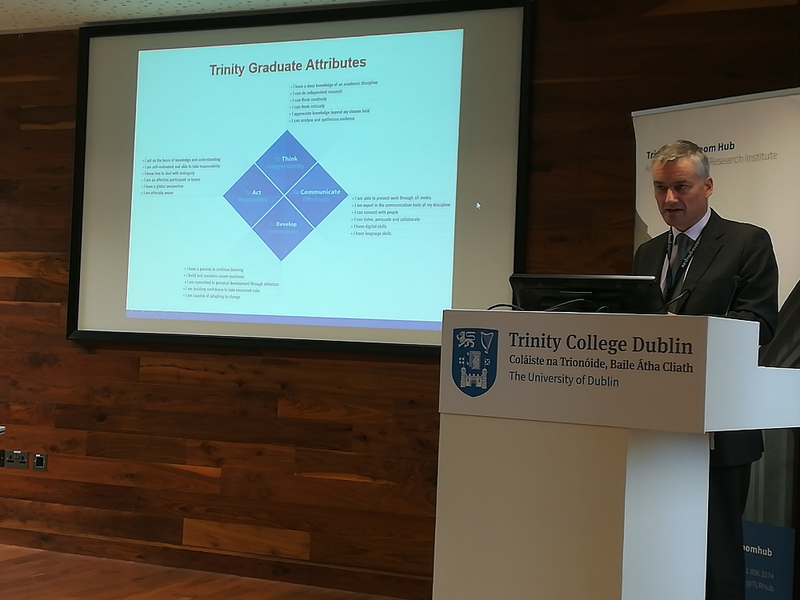 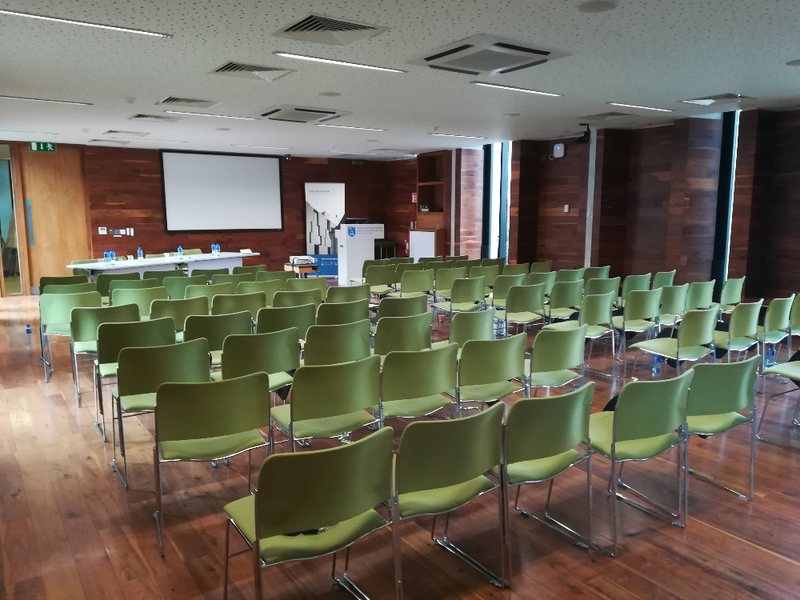 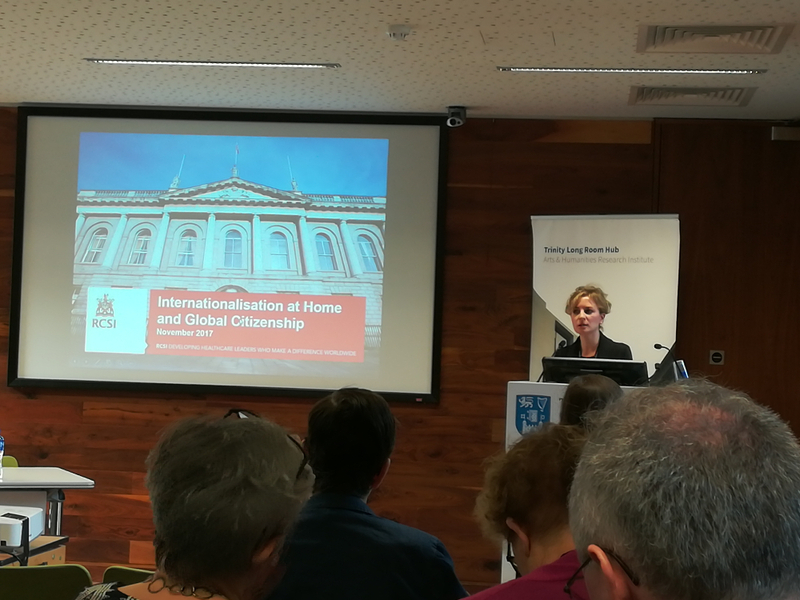 We would like to thank Trinity College Dublin for the warm hospitality and of course all the participants, who made this event such an enjoyable experience with quality discussions and inspiration for future activities. 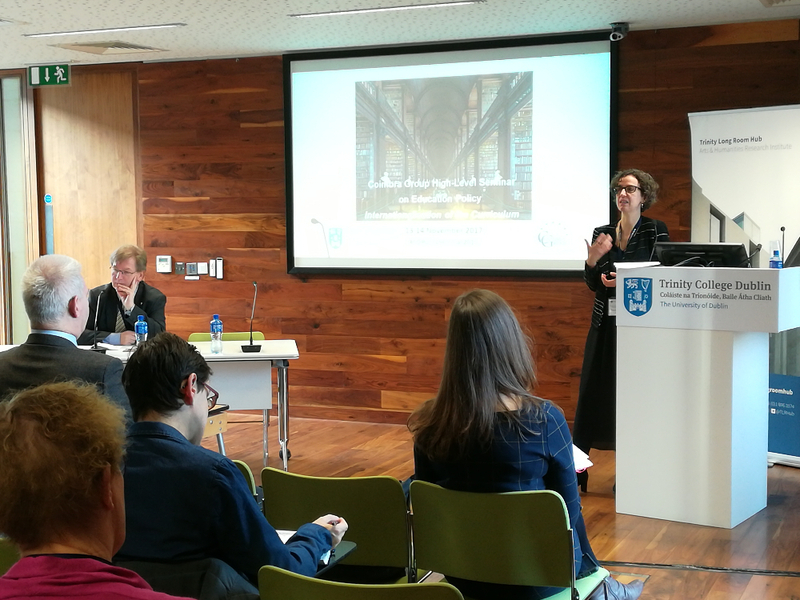 The slides and podcasts of the presentations will be available soon. 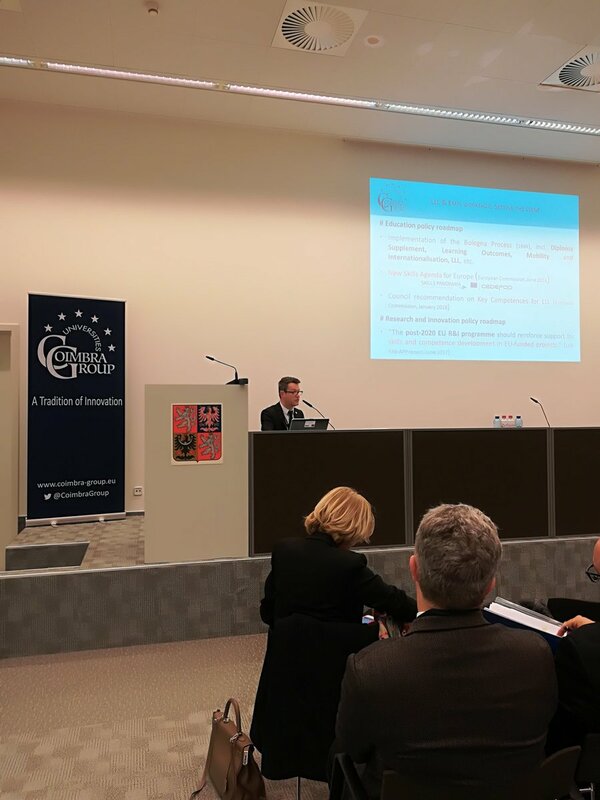 On 27-28 October, the Coimbra Group held its third research policy seminar at the Venice International University on the island of San Servolo. 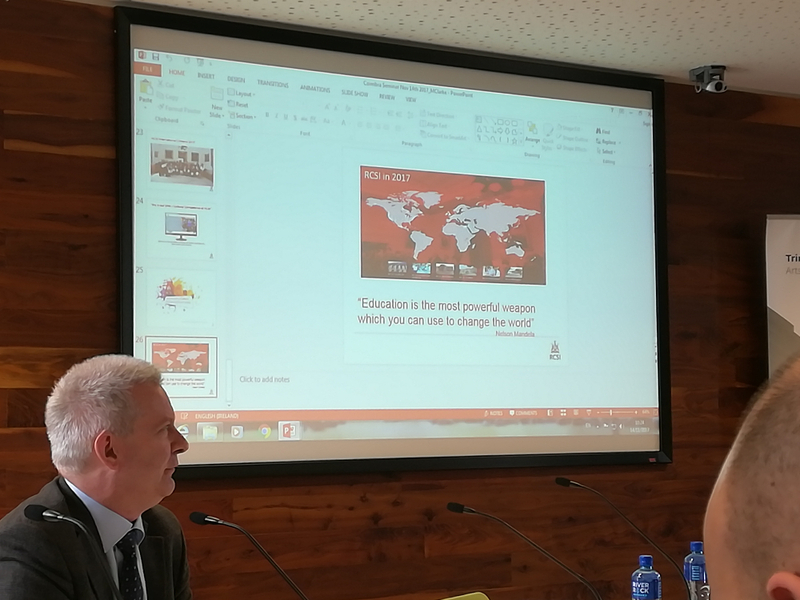 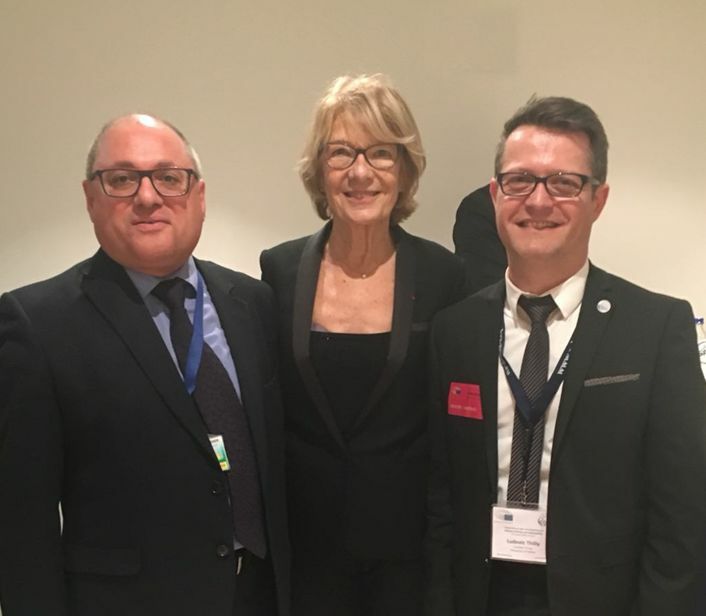 The seminar was opened by President Yves Jean, the Honorary President of the Coimbra Group, and Rector Rosario Rizzuto on behalf of the University of Padova, one of the founders of the Venice International University. 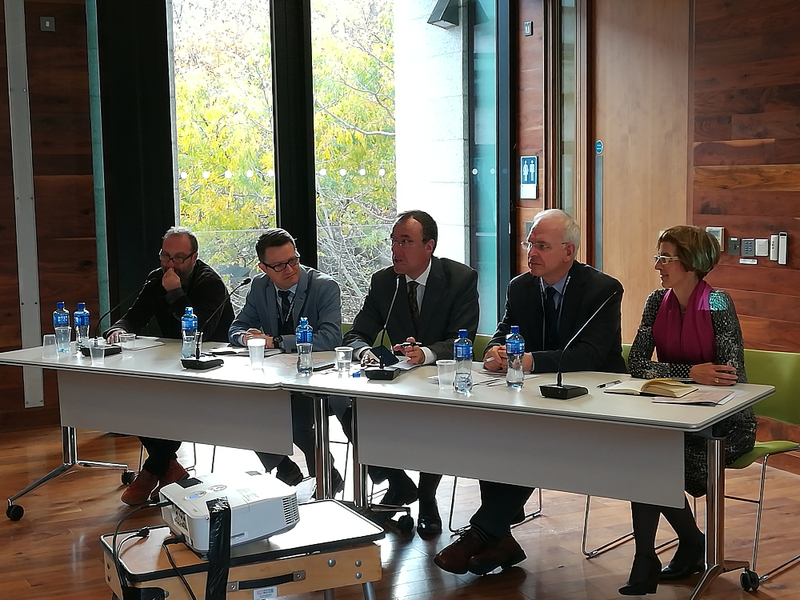 The seminar brought together twenty-five Coimbra Group universities with representatives of European organisations such as the European Commission, the League of European Research Universities, the Guild of Research-Intensive Universities and UNICA. 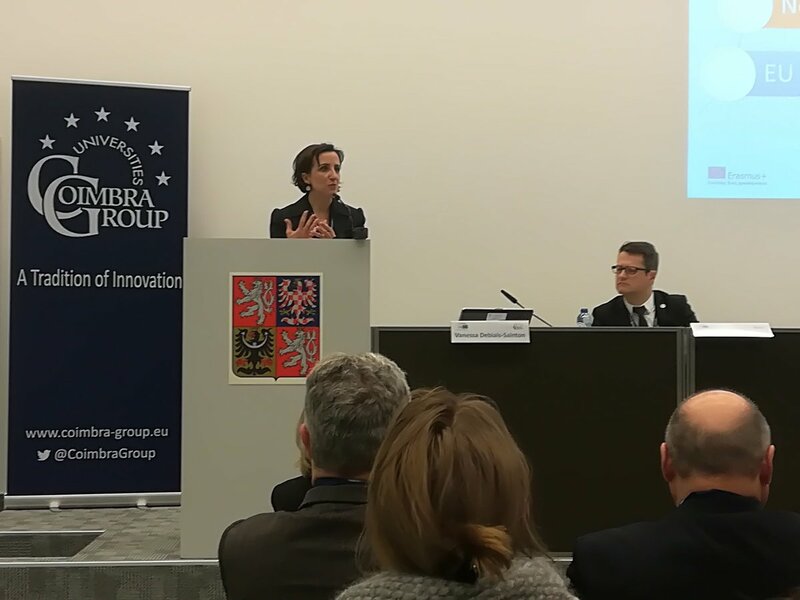 The afternoon saw two inspiring presentations from Senior Adviser to the Commissioner, Prof. Maria da Graça Carvalho setting the scene with the three “O”s, open innovation, open science and open to the world, while Dr Wilhelm Krull underlined the importance of training people, of nurturing the innovation that comes from human creativity. 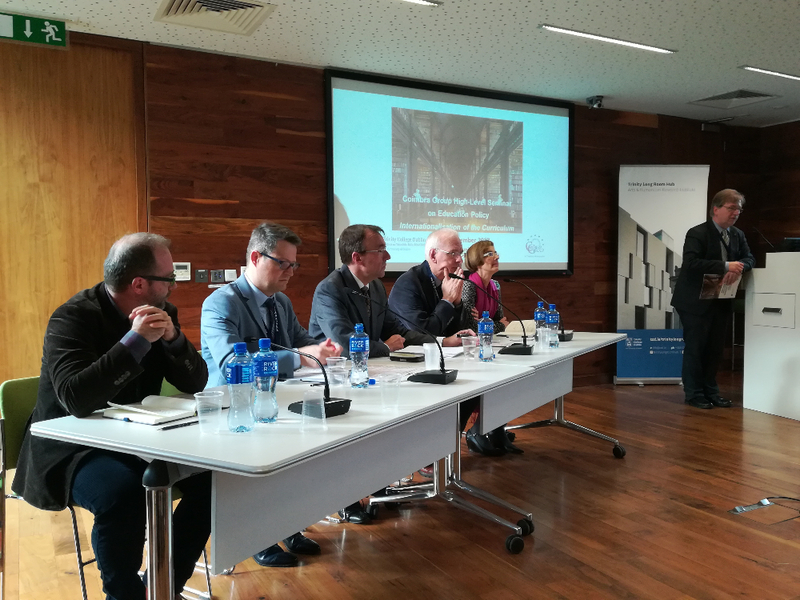 The panel discussion brought the speakers together with Rector Rizzuto, Vice-President Lokesh Joshi from Galway and Prof. Deketelaere from LERU. 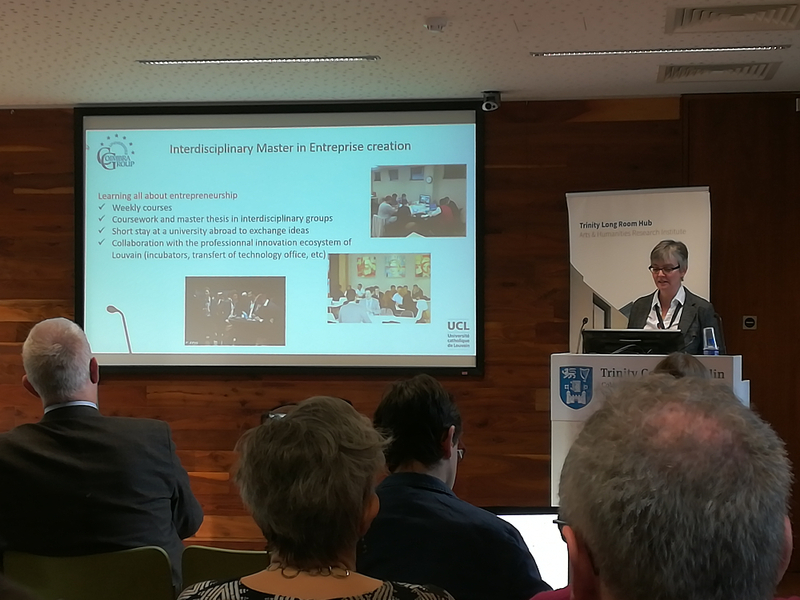 The second day concentrated on the theme of research infrastructures, with an introductory presentation from David Bohmert, who represents the Swiss National Science Foundation on the ESFRI Board, the European Strategy Forum on Research Infrastructures, followed by Dr Jennifer Edmonds from Trinity College Dublin and Prof. Paul Bertrand from University of Louvain on DARIAH, Digital Research Infrastructures for the Arts and Humanities. 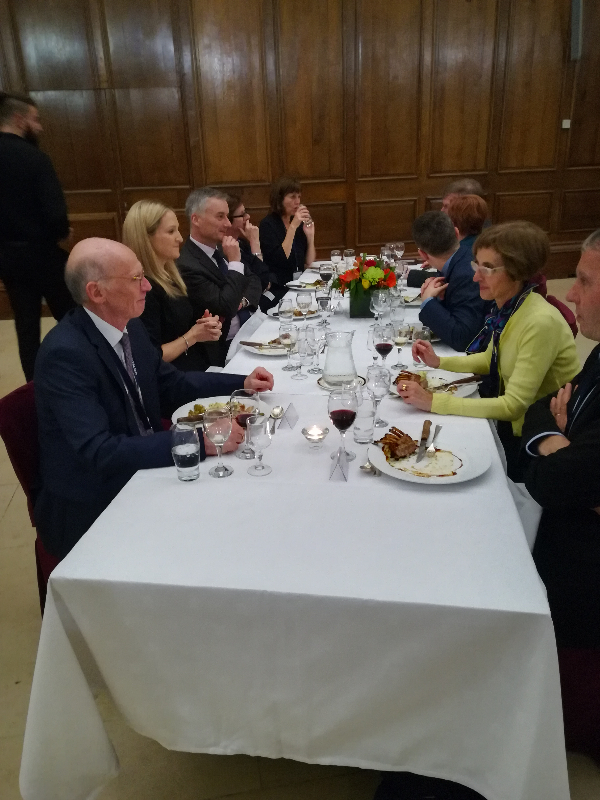 Rector Žukauskas from Vilnius University presented the shared infrastructures at his university, and Prof. Serge Huberson looked at the international cooperation level and the questions of sustainability. 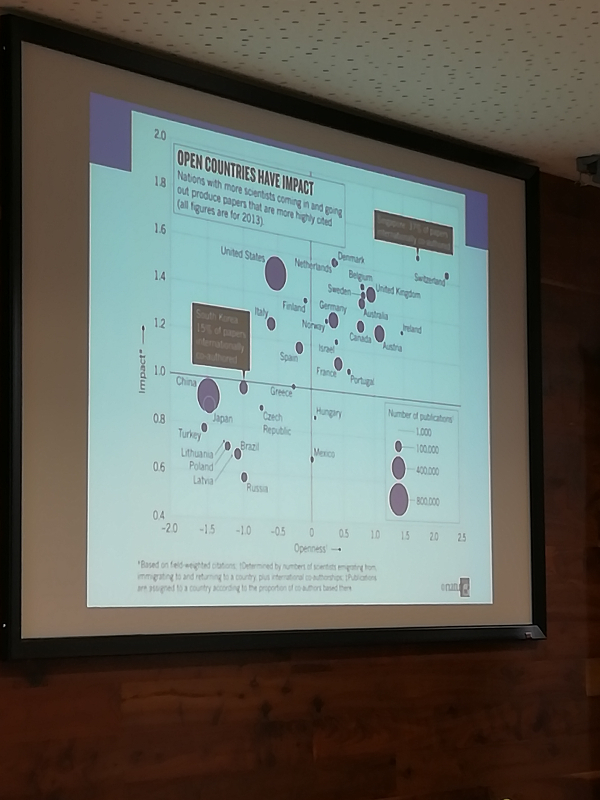 Impact has become one of the key evaluation criteria in Horizon 2020 European research proposals. 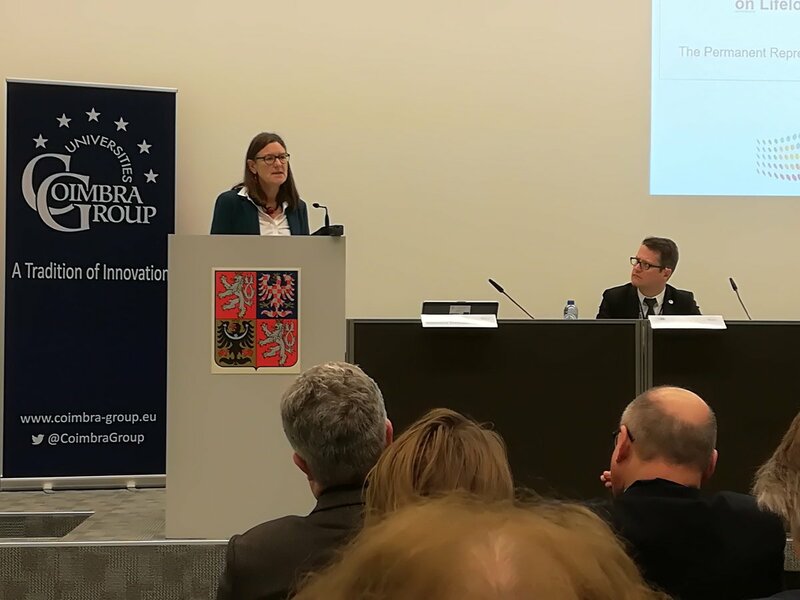 The European Commission is planning to apply more rigorous evaluations with respect to the impact of a proposal. 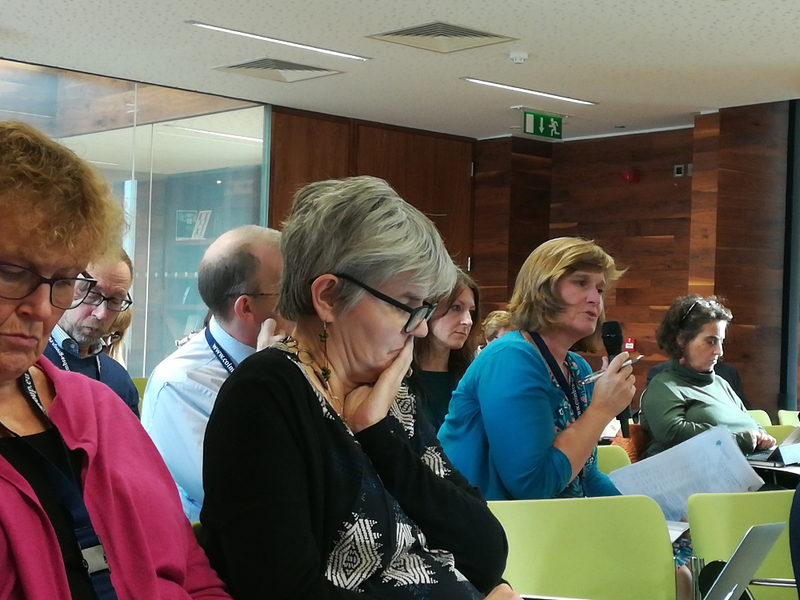 This makes it crucial for Research Support Offices to help the researchers to understand and to explain the potential impact of proposals – two issues which many find difficult.